Rapid innovation and conflicting interests in the pharmaceutical industry are causing trouble for the outdated EU regulation on the supplementary protection of pharmaceutical patents. The CJEU’s latest ruling on the HIV inhibitor Truvada is a clear example of how the European SPC regulations are urgently in need of reform. If it was up to the experts, there would be a unitary SPC within the framework of the UPC; the lack of this illustrates a dilemma in the European patent system. As if the Unified Patent Court did not have enough to contend with. Having spent years in the making, it simply cannot get off the ground. Brexit and the constitutional complaint against the German UPC legislation may even bring about its premature end. Nevertheless, the majority of patent experts in the pharmaceutical industry and legal profession now want to add a unitary SPC to solve the problems around supplementary protection for pharmaceutical patents. This means the European supplementary protection certificate would be subject to the UPC’s jurisdiction. Until the new patent court actually opens its doors, however, the unitary SPC remains a pipe dream. SPCs extend the patent protection for pharmaceutical ingredients and plant protection products due to the labour-intensive production and lengthy testing process. The certificates, that provide a five-year extension to a monopoly right, are worth their weight in gold – for every day a drug is exclusively available on the market, sales skyrocket. But, when a patent right expires, generics manufacturers can flood the market with a cheaper product and the originator’s revenues virtually collapse overnight. As a result, the debate in the pharmaceutical industry over the validity of patents and SPCs is fierce on both sides. Although the issue is generally covered by EEC Regulation no. 469/2009, this regulation is no longer up-to-date. Technical innovation has now overtaken legislation, and the European Court of Justice has failed to provide clarity and ensure the harmonisation of SPC rights. No clear answers: The recent ruling by the CJEU in the Truvada case leaves room for considerable interpretation. This lack of clarification became clear in summer 2018, with the CJEU’s ruling on the SPC for the HIV inhibitor Truvada. In a ruling that left experts baffled, the European dispute between Gilead and the generics industry over Truvada saw the Luxembourg judges decide if an SPC may be granted for a combination of active ingredients – even if only one of those ingredients is explicitly named in the basic patent. The case had been referred to the court by the British High Court judge Sir Richard David Arnold, who was faced with a suit requesting the Truvada SPC (SPC/GB05/041) be declared invalid. Arnold called on the court in Luxembourg to clarify certain points regarding SPCs, but received less than straightforward answers. In the Truvada case, Arnold was hoping for clarification on Article 3a of EEC Regulation no. 469/2009, or more specifically, what the criteria are for deciding whether “the product is protected by a basic patent in force.” Precisely how this passage should be legally interpreted has been the subject of fierce debate in Europe for years, with divided opinions on the fundamental question of when the criteria for an SPC have been met. Can an SPC be granted for a combination of active ingredients if only one of the active ingredients is named in the basic patent? Can an SPC be granted for a combination of an active ingredient and a medical-technological component? In which of these cases can an SPC be granted: If it covers individual active ingredients in the basic patent, if it covers the combination of active ingredients or if it covers only the effect of the individual components or their combined effect? Preventative HIV drug Truvada combines the active ingredients tenofovir disoproxil and emtricitabine. While the basic patent only covers tenofovir disoproxil, the SPC protects a combination of the two until 2020. However, generics manufacturers Teva, Accord Healthcare, Mylan dura and Lupin claim that the basic patent makes no specific reference to emtricitabine as an active ingredient in the treatment for HIV. As a consequence, all brought nullity suits against the SPC in various countries. The CJEU ruled that a compound is protected when the claims of the basic patent refer specifically to that combination of active ingredients, even if those active ingredients are not expressly mentioned in the basic patent. Furthermore, an expert or ‘person skilled in the art’ must be able to identify the combination of active ingredients, as well as the individual ingredients. “The CJEU ruling is in line with previous judgements regarding SPCs. But the core question from the referral from the British High Court was not answered clearly,” says Eva Geschke, partner at Düsseldorf-based IP boutique Wildanger Kehrwald Graf v. Schwerin & Partner. 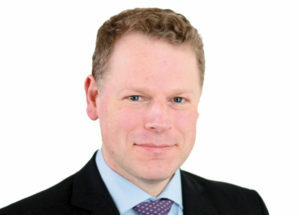 “There will still be a lot of further discussions here.” Rainer Kaase, partner at the Hamburg-based IP firm Harmsen Utescher, says, “The CJEU makes it clear that a combination of active ingredients can only be considered protected by the basic patent if two conditions are met: the combination must ‘necessarily, in the light of the description and drawings of the patent, fall under the invention covered by that patent’ and each individual active ingredient must be ‘specifically identifiable’.” But even Kaase sees a number of ambiguities in the ruling. “For example, what does ‘identifiable’ or ‘necessarily’ mean here?” he asks. 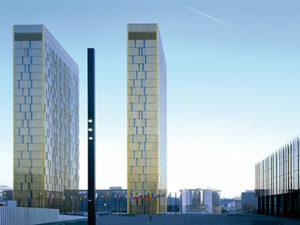 A closer look: Paul England and his firm, Taylor Wessing, were involved in the recent SPC ruling of the CJEU for Mylan and Accord. “After the Truvada decision of the CJEU everybody in the community is upset,” says a London-based patent litigator. “It does not make sense to refer further questions to Luxembourg. We do not get clear answers from there.” And, with the SPC mess now well known in Brussels, the EU Commission is trying to fundamentally revise the rules. The only question is how big the reform will be. 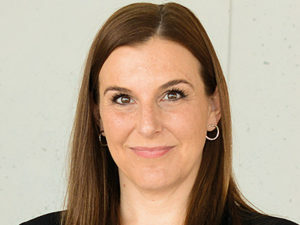 Better the devil you know: Hogan Lovells partner Miriam Gundt believes the industry would rather contend with the current known ambiguities than face new ones. To this end, the Commission has carried out a public consultation and commissioned studies. The trend is clear. “The industry is not particularly interested in a simple revision of the SPC regulation. It would prefer to live with the current known ambiguities rather than to have to negotiate new ones,” says Miriam Gundt, partner at Hogan Lovells. According to Gundt, there is now a prevailing opinion in the industry and among lawyers that a unitary SPC would fundamentally provide the better framework for reforming SPC rules. If the unitary patent and the UPC were to be implemented under the current rules, the pharmaceutical industry would be faced with a very strange situation. Companies would receive a uniform patent for 25 EU states in a central granting procedure at the EPO. They would then be able to enforce this throughout Europe before the UPC. However, the companies would have to file and defend the subsequent SPC in national courts. The Max Planck Institute has made specific proposals as to how a unitary SPC could be granted. The study argues that a choice must be made between mandating an EU institution to grant the SPCs – either an already existing institution, or a newly established one – or entrusting this task to the EPO. But the majority of stakeholders, says the study, favoured a system in which a team of experts from the national patent offices – either in a virtual office or in a virtual unitary SPC division – examines the application and grants the certificate. In the latter case, the UPC would then hear any appeals lodged against decisions rejecting the application. In the event that an EU institution is charged with granting the certificate, appeals would have to be filed at the General Court. 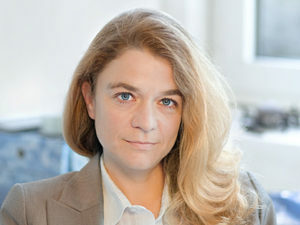 Still waiting for answers: Eva Geschke, partner at IP boutique Wildanger Kehrwald Graf v. Schwerin & Partner. For the time being, the Commission is satisfied with a special exemption for generic products intended for export. In May 2018 the Commission introduced an exception that allows EU firms to manufacture certain pharmaceuticals for export to non-EU markets for the duration of the SPC. Generics and biosimilar manufacturers in particular will therefore be able to produce a generic version or a biosimilar of a protected drug during the period of validity of an SPC in the EU, if these are intended for export to third countries where patent protection no longer exists. With this rule, Brussels is pursuing a clear location policy to protect Europe‘s pioneering role in pharmaceutical research and development, and to safeguard jobs. Legally, however, the proposal is controversial. In a statement to the Federal Ministry of Justice, for example, the German GRUR association writes, “The Commission’s proposal is based on the interests of generics and biosimilar manufacturers located in the EU and is unilaterally to the detriment of SPC holders.” Others argue that the current regulation leads to an early relocation of production to non-European countries.